When Nintendo announced the arrival of some of its star franchises to smartphones, we couldn’t have been happier. Probably the world’s best gaming company to start creating new works for iOS and Android? What a genuinely incredible piece of news. Time has marched on and we Android gamers are still patiently waiting for the appearance of the world’s most famous plumber in March. But keep ya head up, there’s still good news: Fire Emblem Heroes is out on Android and iOS. So start playing! 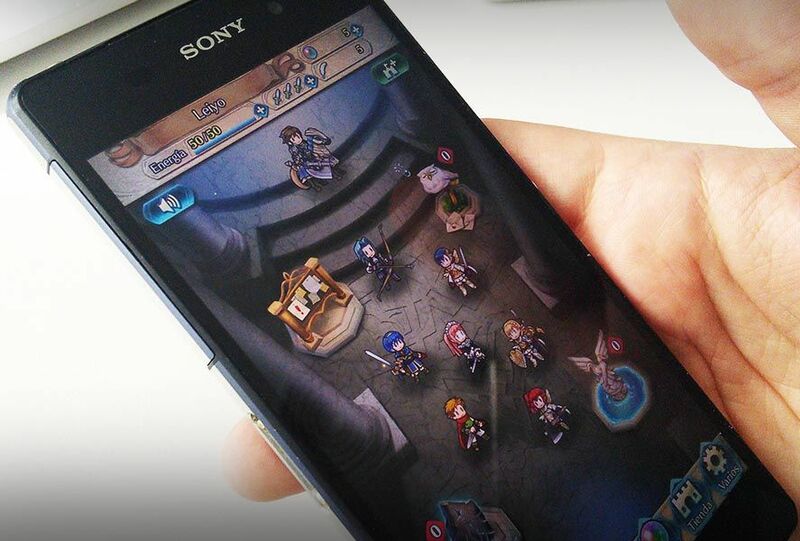 This umpteenth Fire Emblem adventure has been adapted to smartphones, and you can play Heroes with the screen in vertical mode. The map might have gotten way smaller, but the gameplay is smoother so I applaud Nintendo for this decision. Fire Emblem Heroes puts you in a world where two kingdoms attempt to put an end to each other: The Empire of Embla and the Kingdom of Askr are immersed in a great conflict as the first is trying to dominate the entire known world. Obviously you have to take control of the Kingdom of Askr in an attempt to save the world as we know it. Fire Emblem Heroes has the particularity of letting you play with a cast of iconic heroes belonging to other games from the saga. That said, lots of times you have to pay to play with a certain character. In principle, though, this doesn’t hurt the game’s playability a bit. You’ll have to clear out some memory on your device to be able to play since it requires at least 1GB of free space to download data. Plus you need Android 4.2 as a minimum, or version 8.0 or higher of iOS. You can now download the game from Uptodown and we definitely recommend you check out our recent article with everything you need to know about Fire Emblem Heroes.